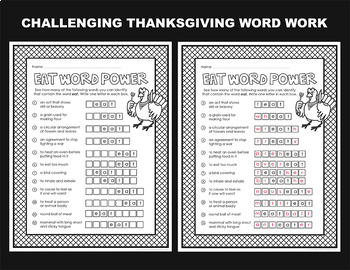 Build vocabulary using these fun and challenging word work pages. 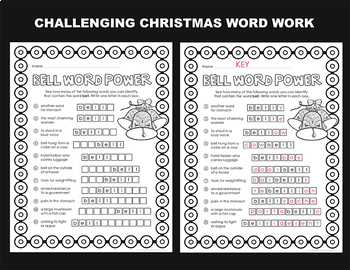 The goal is to identify words using definitions and the letters of a short holiday or seasonal word contained inside. This is a higher level thinking activity, so suggestions for differentiation are also included. 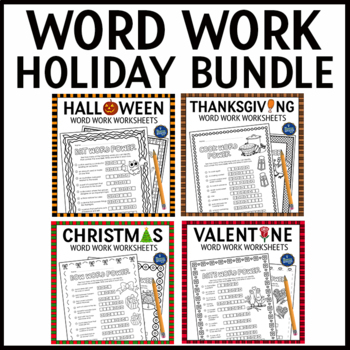 When the word work is done, students can also color the borders, letters, and pictures. 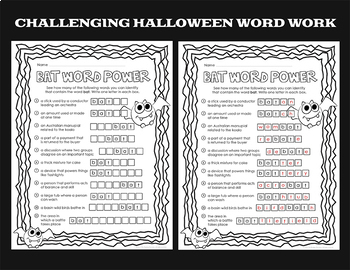 Great for a learning center or for early finishers! Check out the previews to see all of the included words and pages. I’d appreciate your purchase, your rating, and your feedback. Thank you from The Brighter Rewriter! ► CLICK HERE to follow me for new product notifications, special discounts & other fun stuff!